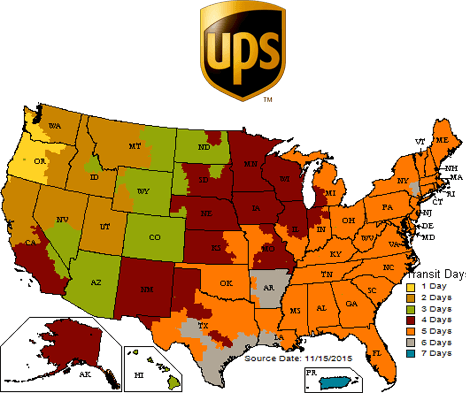 Our goal is to offer you the fastest and lowest cost shipping method. 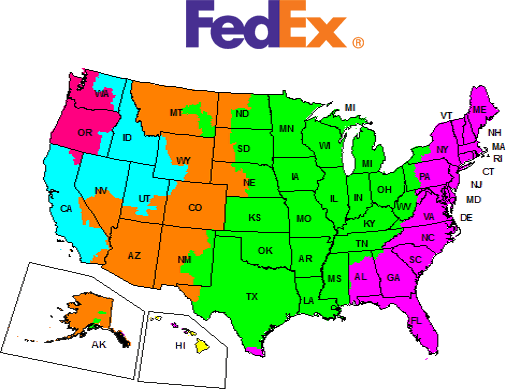 We use several shipping carriers including UPS, FedEx, and the US Post office. We will automatically select the lowest cost shipping for you, but if you have a specific carrier in mind we will gladly use them instead. Feel free to ask for quotes on shipping from our Customer Service Team. All three carriers we use for ground shipments now calculate shipping charges for large-sized packages based on dimensional weight. When determining your cost for shipment we use a "chargeable weight". 1. We determine the actual weight with a scale. 2. We determine the dimensional weight. Dimensional weight is calculated by multiplaying the length x width x heigh to determine the cubic size of the package, and then dividing this number by 166. If a package measures 5,184 cubic inches or greater, we move to step 3. 3. The chargeable weight is the largest between the actual weight and dimensional weight figured in steps 1 and 2. Every box is specifically packed to keep shipping costs at a minimum while ensuring your items will be safely shipped.